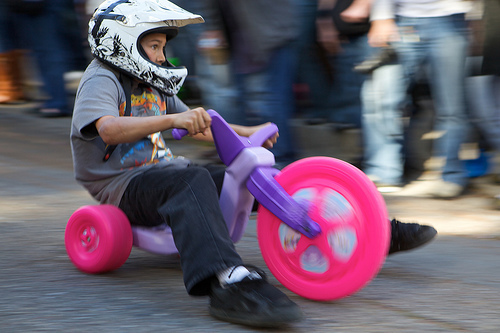 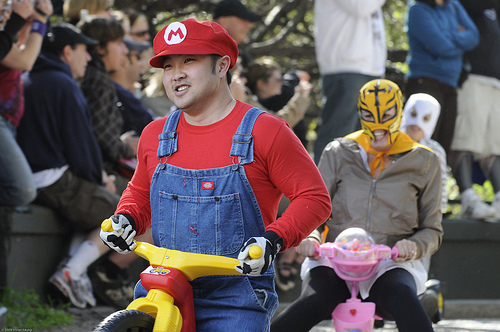 San Francisco’s 10th Annual “Bring Your Own Big Wheel” race is set to roll down Vermont Street this Sunday from 4:00-5:30 pm rain or shine. 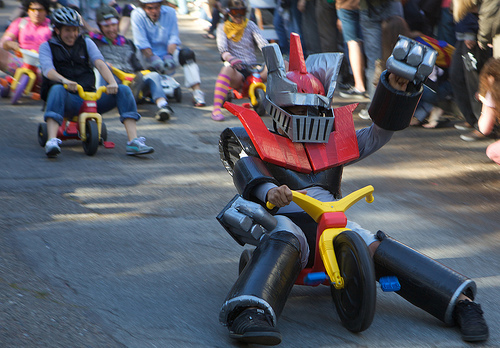 As the name suggests, participants bring their own Big Wheels (or other equally ridiculous, flimsy or brakeless vehicles) and attempt to ride them down one of San Francisco’s steepest and curviest streets. 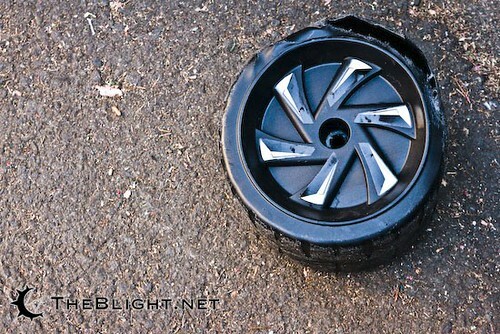 Hilarity – and a not insignificant number of skinned knees – ensues. 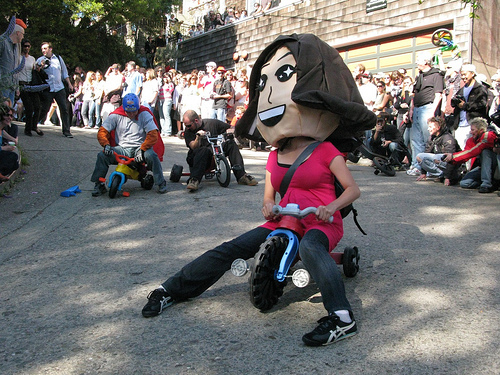 Begun in 2000 by John Brumit, the event was originally held on SF’s famous Lombard Street, until its increased popularity necessitated the move to Vermont Street. 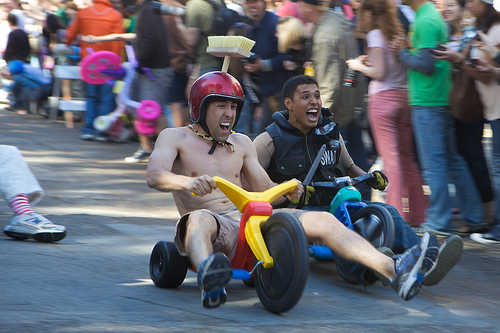 After agreeing to allow the (traditionally unpermitted) race to occur last year, City officials worked with neighborhood residents and event organizers to secure permits for this year’s race.